This year, Hallmark wants to know what the holiday season means to you! Perhaps it’s a time to celebrate the bond you and your loved ones share. Maybe it’s about reflecting on the memories you and yours have created during the year. Or maybe it’s another chance to tell your loved ones how much they mean to you. Whether it’s one of the above (or all three), here are a few ways that Hallmark can help “Bring the Holidays to Life” as the most wonderful time of the year draws near! · Be a Part of the Story: Transform traditional story time into an interactive adventure with Hallmark’s newest storybooks, Be a Part of the Story. When special lines are read aloud, the main character chimes in with a question or choice for a child to answer. Once the child answers, the story continues! · Interactive Story Buddies: Bring story time to life with the newest Interactive Storybooks and Story Buddies featuring the sweetest husky pups you’ll ever meet – Jingle and his new friend Bell. · Recordable Storybooks: Record a story for loved ones no matter where you are this season with the help of Hallmark Recordable Storybooks. With fun illustrations and music, you can add your voice to a holiday story that can be replayed time and again by a special kid in your life. 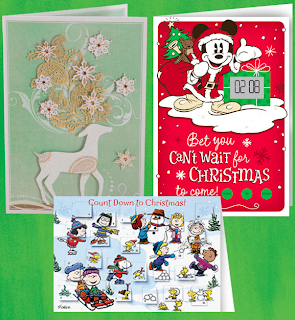 New titles include All I Want for Christmas, Jingle’s Magic Christmas and Rudolph, the Red-Nosed Reindeer. · Hallmark Signature Collection: With exquisite textures, premium quality paper and relevant messages, Signature Collection greetings not only share kind words with loved ones, but can adorn mantles and be used as part of your holiday home décor. · Interactive Greetings: Build the excitement of the season with Hallmark’s newest Interactive Greetings Hallmark, which feature countdowns, recordable wish lists and more! · Personalized Greetings: Hallmark makes it easy to spread holiday cheer at Hallmark.com, where you can create and send personalized holiday greetings from the comfort of your own home! Add your own photos and customized messages to give your holiday greetings a personal touch. Buy It: You can purchase all Hallmark holiday items mentioned above at at local Hallmark Gold Crown stores and select Hallmark retailers. 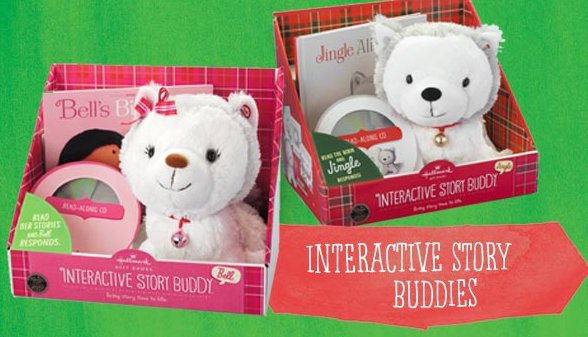 Win It: Hallmark is generously offering (1) Gift pack (including An Everyday or Holiday Interactive Storybuddy, One of Hallmark’s Recordable Storybooks, and A selection of the newest Signature and Interactive Greetings from Hallmark) to a lucky winner!